Early Details Of Upcoming "Weller At The BBC" Release! – Paul Weller News! 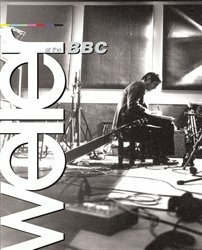 Early Details Of Upcoming "Weller At The BBC" Release! 5 Comments on Early Details Of Upcoming "Weller At The BBC" Release! We have some early details of the November release of the highly anticipated collection titled, Weller At The The BBC. • ‘Weller at the BBC’ is a stunning 74-track, all digitally-remastered, 4-CD hard-back book set of exclusive BBC sessions and live concert tracks from 1990 – 2008, fully sanctioned by Weller and including his introduction to the liner notes. • Includes alternative versions of 19 classic hit singles – Hung Up, Out Of The Sinking, Wild Wood, The Changing Man, You Do Something To Me, Uh Huh Oh Yeh, Peacock Suit, Brushed, Brand New Start, Wishing On A Star, Thinking Of You, Come On / Lets Go, Above The Clouds, Sunflower, Broken Stones, Speak Like A Child, My Ever Changing Moods, All I Wanna Do (Is Be With You) and That’s Entertainment. • Discs one and two feature key session tracks from 1992 – 2008. Includes 40 unreleased versions, many with interview snippets and Paul’s song introductions. Many of these sessions are show-casing material from new or forthcoming albums and are presented in band versions as well as solo, acoustic settings. • There are some rare gems within these sessions including an exhilarating rendition of Ronnie Lane’s 1974 single The Poacher from 1997. From 2006 are highlights of Radio 2’s, Sold On Song, where Paul armed with acoustic guitar provided a fascinating song-writing tutorial as he explained the process behind Amongst Butterflies, Frightened and That’s Entertainment amongst others. • From July this year are stunning interpretations of All I Wanna Do (Is Be With You), Cold Moments and Push It Along from the recent critically-acclaimed, no. 1 album 22 Dreams. • Discs three and four feature 34 of the best live concert tracks from six BBC-recorded shows from 1990 – 1998, including an early solo gig at the Town and Country club December 1990 with previously-unreleased tracks Just Like Yesterday (a Weller original) and The Isley Brothers’ Work To Do. Another unreleased song is Marvin Gaye’s classic What’s Going On from Royal Albert Hall October 1992. • Also featured is the triumphant July 1995 headlining performance at the Phoenix Festival where he performs dazzling versions of live favourites – Porcelain Gods, Stanley Road, Can You Heal Us (Holy Man) & Shadow Of The Sun. • Includes a 64-page booklet with extensive new sleevenotes, brand new interviews with Paul Weller, Noel Gallagher, Bobby Gillespie, Tim Burgess, Steve White and others. • The booklet features scores of rare and unseen photos from the Lawrence Watson archive. Fabulous! Can’t wait until this is available for pre-order. Any info on that? Previous Entry Photos & Set List From Paul Weller’s Appearance At Summer Sonic, Osaka! Next Entry 22 Dreams Review From The New Zealand Herald!